PLEASE NOTE: This edition does not include a continuo realization. If you require one, please tick the box. Remember, it may take a week to produce a continuo part. If you plan to perform this work with a choir, please email us to negotiate a special price for extra scores. Scoring: SSATB soli and SATB ripieno, 2 "flutes" [recorders], 2 violins, 2 violas, continuo. 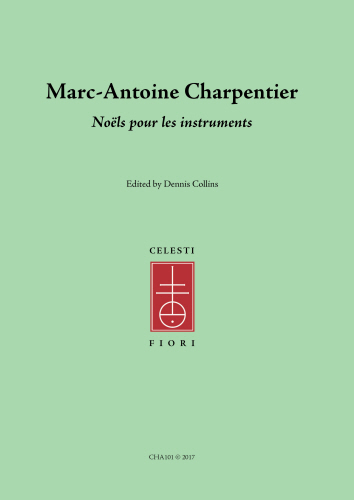 This volume includes nine of Charpentier's instrumental settings of popular French carols (H. 531 & 534 in the thematic catalogue of the composer's works). 28pp, professionally printed in Germany.. Scoring: 2 flutes (most likely recorders), 4-part strings; the set includes four copies of the treble part, one each of the violas and two bass parts. These eight pieces are sung as Magnificat antiphons on the last seven days of Advent. 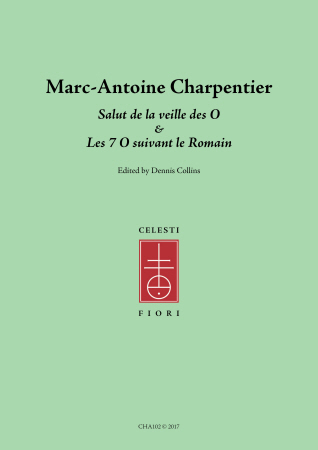 Charpentier's settings date from the 1690s. They come from the same manuscript volume as his Noëls pour les instruments (H. 534) and were probably performed along with them in the 1690s. Scoring: mostly ATB, continuo, with two pieces for SATB, 4-part strings, continuo, and one for solo alto, 2 violins (or perhaps viols? ), continuo.